A million dollars isn’t what it used to be, or that’s what they tell me anyway. Be that as it may, my wallet is still suspiciously light of a million by about $999,990. As a dealer I heard an urban legend of a hobo who staggered into a famous Aussie casino back in the day. He had collected $15 in the form of three crumpled $5 notes and slammed it down on a blackjack table. The legend goes that over the course of several days – being comped several meals, a room and countless drinks – this hobo had amassed $1,000,000. After much negotiation with casino management he decided to stray from the blackjack that had helped him become a millionaire and was going to bet his entire new fortune on black on roulette. The casino operators must have been giddy with joy when the ball fell in the 0. Thus the hobo had lost his milllion dollars by straying from blackjack. If a hobo can win a million and blow it, surely you and I can make a mill without breaking a sweat and not waste it. So how can you crack it? How can you become part of gambling folklore and make yourself a millionaire just by playing Blackjack? One of the most popular strategies to win a million dollars is to start with a $15 bet and just double it with every win. If you manage to win 16 hands straight you have won yourself $983,040. Sure that may not be a cool mill, but you know what? I’m not going to quibble over a measly $16,960. But if you are a stick in the mud you could always aim for that elusive 17th straight win and walk away with $1,966,080. 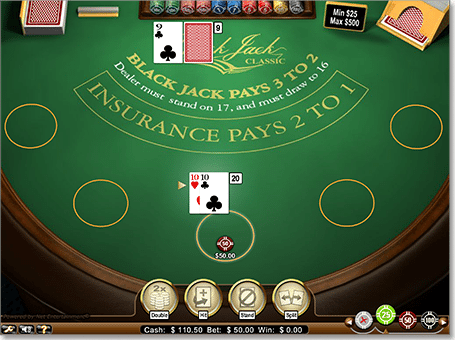 This tactic assumes you do not receive a blackjack during your consecutive wins and you don’t double down or split any hands. Or if, like me, you don’t have a lazy $500,000 lying around, win three $250,000 bets in a row. Again: easy. Some people out there might even try to convince you card counting is a good idea. I mean, it worked in that Kevin Spacey movie 21 didn’t it? Never mind the fact you have to be better with numbers than Russell Crowe in A Beautiful Mind. The thing with card-counting at bricks-and-mortar casinos is they don’t like it. If the floor manager or pit boss figures out why on earth you have made a million dollars, while always suspiciously betting heavily towards the end of a manual shoe, they are likely to frog-march you to a room with no windows or security cameras and a lot of power tools. At least that’s what happens in the movies. 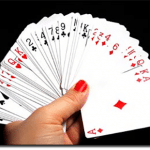 Of course, you could try card counting with the advent of Live Dealer Casino Games but that won’t really do you much good either because dealers at online casino providers have been instructed to shuffle once they get halfway through a shoe, thus minimising the chances of card counting. Plus, with new laws introduced in Australia in September 2017, it is now illegal for Aussies to play real money blackjack online. 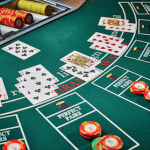 If you’re located outside of Australia, why not completely sidestep the possibility of open hostility from security and being banned from the casino and play blackjack online at these trusted casinos? www.RoyalVegasCasino.com offers up to AUD$1200 in new player casino bonuses. www.Guts.com offers up to a $500 welcome bonus and 100 free spins on their popular slot Starburst. www.GdayCasino.com offers a matched first deposit bonus up to any amount. In all honesty though, there are only a couple of things you need to know to win big at blackjack: you need to be patient and you have to bet big to win big.